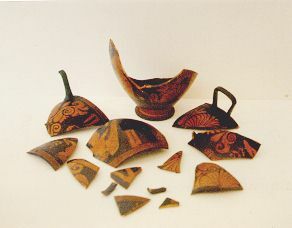 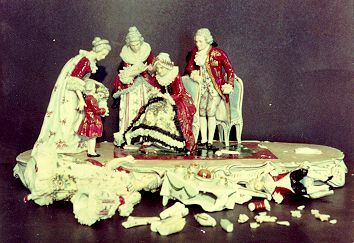 Golberg Restoration Co. - Samples of restoration and conservation works. 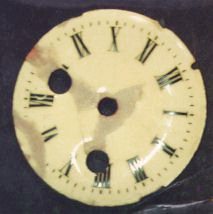 Enamel clock face of antique French clock circa 1870 - 1890. 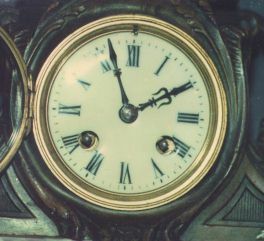 This picture shows the dial after it has been mended together. 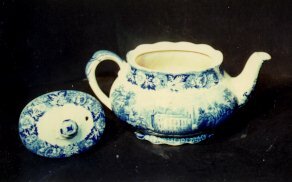 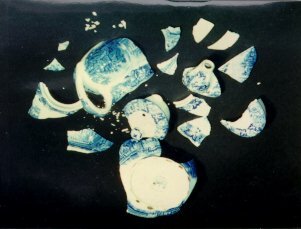 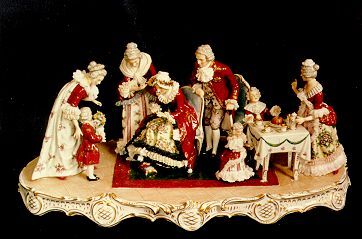 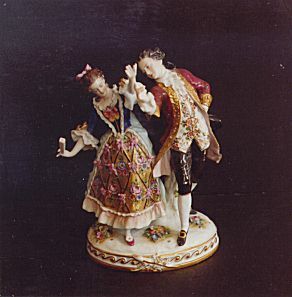 Dresden porcelain group circa late 19C. 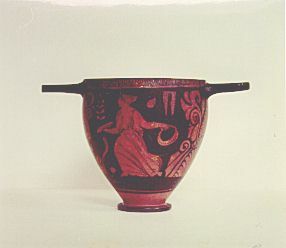 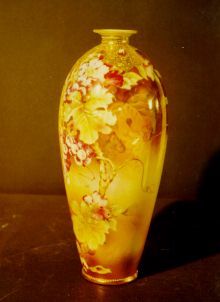 Nippon vase circa early 20C. 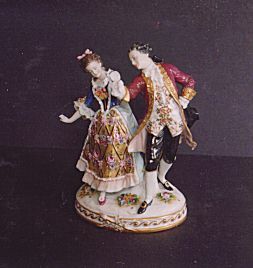 Meissen porcelain figurine circa 1920. 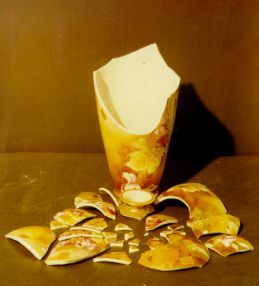 Lady's fan, fingers, flower petals, and man's arm were missing.